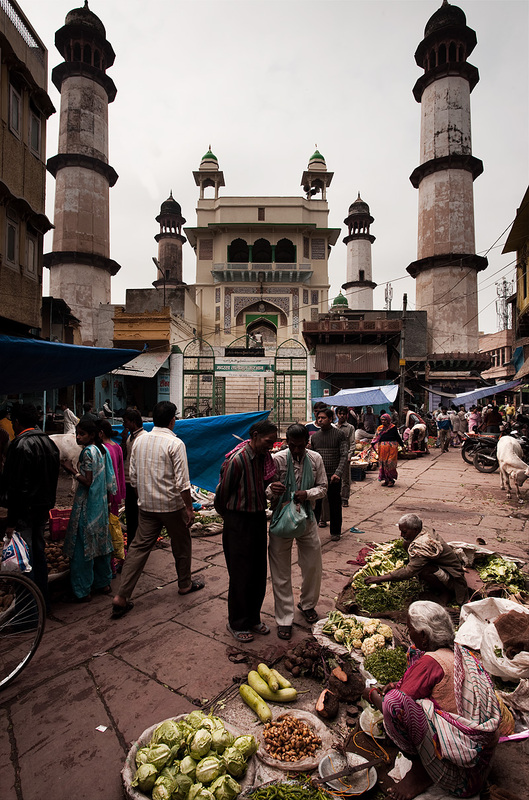 A vegetable market and local mosque in the bazaar. People go about their daily lives like they have before the development of weekend farmers' markets and chemicals that preserve the color and texture of perishable goods. Farmers come and display their home-grown items while fending off the occasional cow, hell-bent on eating for free. 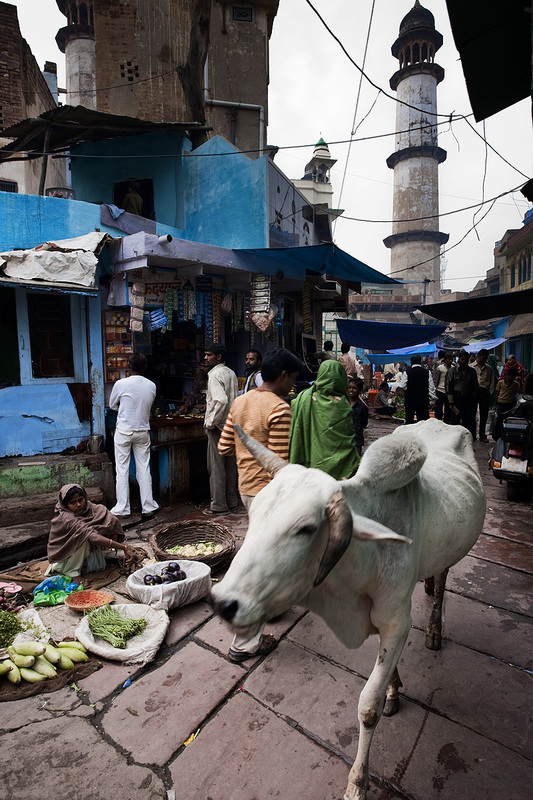 A cow with mismatched horns walks leisurely out of the vegetable market in the Mathura bazaar. So all those Bugs Bunny cartoons didn't lie. You can actually twist the horn of a bull in any orientation you please! On a technical note, you can see the bull is far from sharp. At the time, I was still experimenting with slow shutter speeds. At times, it takes dozens of frames but when I hit a slow shutter speed photo spot on, it's a thing of beauty. However, most other times, the photos result in a slightly blurry - and unfortunate - image.